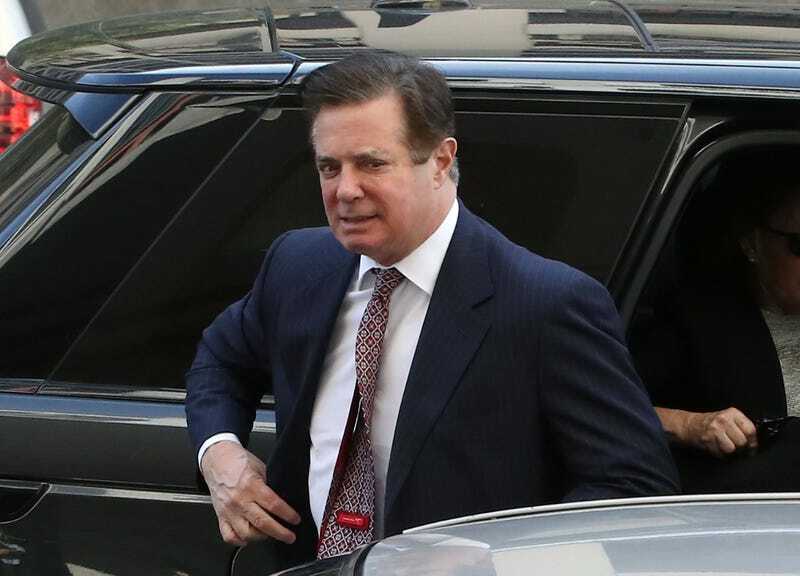 The criminal trial for Donald Trump’s former campaign chairman Paul Manafort began Tuesday morning in a federal court in Alexandria, Va. It is the first trial to come out of special counsel Robert Mueller’s investigation into Russian interference with the 2016 U.S. presidential election. Things moved very quickly on the first day of court. The Washington Post reports that a jury of six men and six women was chosen, and both the defense and the prosecution delivered their opening arguments. Prosecutors said Manafort sustained his personal financial fortune over the years by lying to banks and tax authorities. At 69, Manafort is facing 18 charges of financial fraud. Between 2010 and 2014, he made more than $60 million working as a strategist for a political party in Ukraine, but the government says he failed to pay taxes on some of that money. He then falsified his income and hid debt in order to secure loans from banks once the money from Ukraine stopped coming in. If he is convicted for the most serious charges in the case, he could face life in prison. While others around him have taken plea deals—including his former right-hand man, Rick Gates—Manafort has chosen to stand tall and face the music. He even attempted to push back against the special prosecutor. In January, Manafort filed a civil lawsuit against Mueller and the U.S. Justice Department, alleging that when Mueller and his team looked into Manafort’s “unrelated, decade-old business dealings” in Ukraine, they had “diverged” from their original task of investigating whether or not there was collusion with the Russians in the 2016 election. In the same suit, Manafort also accused Deputy U.S. Attorney General Rod Rosenstein of exceeding his authority by appointing Mueller as special counsel in the first place. In April, U.S. District Court Judge Amy Berman Jackson granted a Justice Department motion to dismiss Manafort’s lawsuit. Manafort appealed that dismissal in June, but on Monday night—just hours before his criminal trial was set to begin—all parties reached an agreement to drop Manafort’s appeal of the civil case. No further details on that matter have been released. In addition to his current financial criminal trial, Manafort will stand trial in a federal court in September on charges that he failed to register as a foreign lobbyist. He is currently being detained in jail as his cases proceed.